The Oceanaire Model 20ACH1211 can switch automatically between heating and air conditioning. 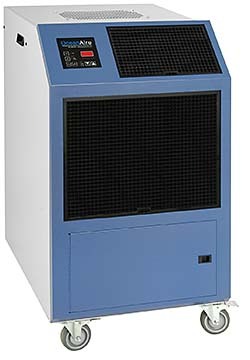 The 1-ton portable heat pump is rated at 11,685 BTU/hr heating capacity and 12,700 BTU/hr cooling capacity and uses standard 115-volt plug-in power. Will function in the heating mode at ambient temperatures above 45 F.